Concrete Look Glazed Porcelain Tiles provide an edgy, clean and contemporary alternative to concrete or cement flooring commonly seen in garages and basements, rather than furnishings for home or office spaces. With the rising popularity of the industrial style and its partiality to raw, unfinished fixtures, concrete look floor materials are a must-have. Those who wish to adapt to other interior design styles can also use concrete tiles for flooring for their adaptable and neutral tone compared to wood, marble and decorative floor tiles. Urban Cement is ideal for outdoor living rooms and alfresco spaces. This style incorporates the raw mixture of gravel and stones, cement and sand within its design without the texture. Available in 300×600 mm with colours ranging from natural, earth, white, anthracite and grey. 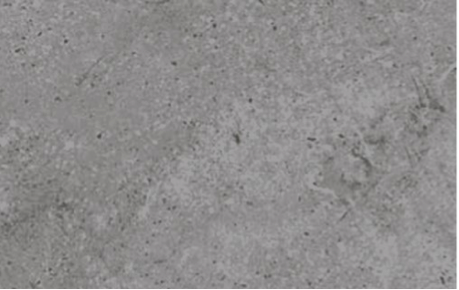 Urban Cement is available in a Matt, Lappato and grit finish. Available in two surfaces: Lappato and Matt, Cemento has a more smooth, trowelled and polished look compared to Urban Cement. Cemento comes in various colours including cement, taupe, white, grey and charcoal. Cemento is available in two sizes: 300×600 mm and 600×600 mm. Using glazed porcelain tiles instead of cement flooring lowers maintenance costs. Instead of having your concrete floors waxed and polished twice a year, the glazing on the tiles protects the floor all year round. Cementum is available in Matt surface. Its grey colour projects a cool and breathable space. Johnson Tiles offer Cementum in 300×600 mm and 600×600 mm. For those who are looking for a unique mix of concrete look and natural stone aesthetics, Johnson Tiles offers the Mars Porcelain Tile design. This matt finished tile comes in white or grey. Ideal for alfresco spaces, bathrooms, kitchens and laundry areas. Mars is available in 300×600 mm. Glazed porcelain concrete tiles blend into any style. In fact, you can renovate a space to any style of the interior without overhauling the floors. Tiles are also easy to clean and maintain, thanks to the glazing, food stains are easily cleaned. Johnson Tiles Australia are proud manufacturers and developers of ceramic and porcelain wall and floor tiles. They have showrooms in Melbourne, Sydney, Brisbane and Hobart.